[SOLVED] How to have microG works on Havoc OS? 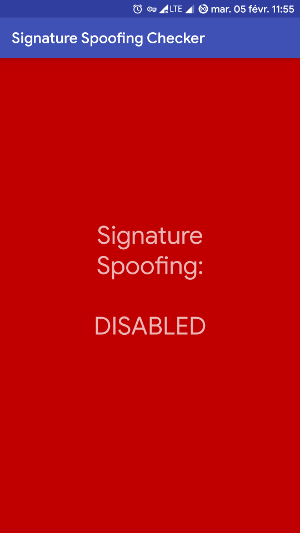 Long story short, microG is supposed to take advantage of signature spoofing in order to do his magic. But I couldn't make this happen. I just did a clean install of Havoc OS (Android Pie) on my Oneplus 3 using this thread. 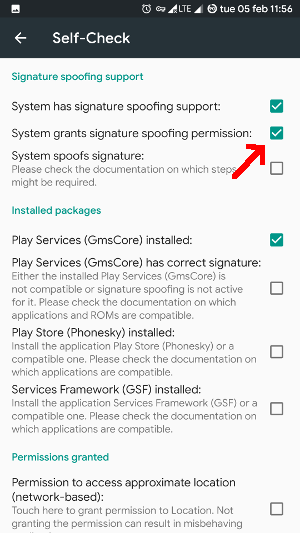 This distro is supposed to natively support Signature Spoofing, as it claims in its features list (twice). And migroG is officially supported. But there's no support provided on SourceForge (official website for Havoc OS) and the way to contact the dev is Telegram (which I don't use). There is a switch available in the Settings app, and according to the terminal, it's working : settings get global allow_signature_fake returns 1 or 0, depending on that switch. However, when trying to check with microG or with this checker I get a negative answer. Over the 600 pages of the official thread, I saw other people having issue with this but noone really have a working solution. 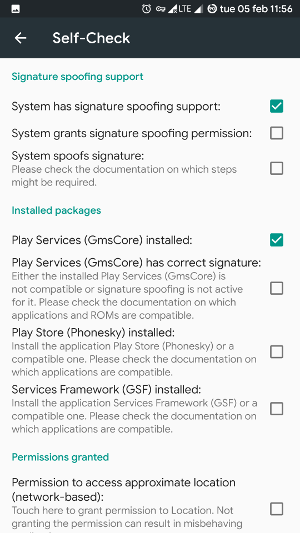 Some said they used a Magisk module called NanoDroid, but in its today's version, this one detects that the distro already allow it and do nothing. Plus, I read this override on distro natively supporting it is not recommended anyway. As Havoc OS is based on LineageOS, I've tried that too. I've then installed a magisk module called [Terminal] App Systemizer and use it to swap both apps (Checker and microG) to /system/priv-app. Now I'm stuck and have no clue were to go next. Any idea ? This version correct the problem and everything works as expected now. [SOLVED] "No calendars have been synchronized with this device." Possible to patch the Android kernel with root? What determines whether an MP3 works as a notification sound? How can I edit a list of allowed Wifi channels for country in custom Android ROM? How can i become user 0 if i have been hacked and rooted unknowingly?